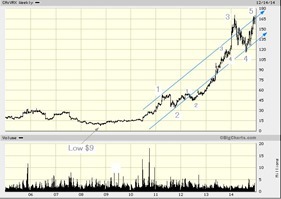 This stock has gone from $9+ to $170 and may still add a few dollars. In our opinion this is one of the best shorts there is. First of all the EW count is clearly one of 5-waves up from that low, with the 3d of the 3d as the “extended” wave. There is alternation between 2 and 4 with 2 as an irregular flat and 4 as a zig-zag. Waves 1 and 5 are presently more or less equal which is a fairly standard phenomenon when the 3d wave is extended. Secondly both the RSI and MACD are showing signs of fatigue. 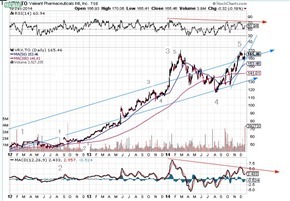 On the fundamental side this company operates in the business sector of pharmaceuticals, something that is not even remotely understood by even the most conscientious analyst and therefore vulnerable to intense levels of hype. This is a concern that people who were acquainted with the shenanigans of Biovail would certainly understand. The recent grow at any cost approach with Allergan failed but does reveal their MO. With a P/E of 104 this is an excellent choice for a short. 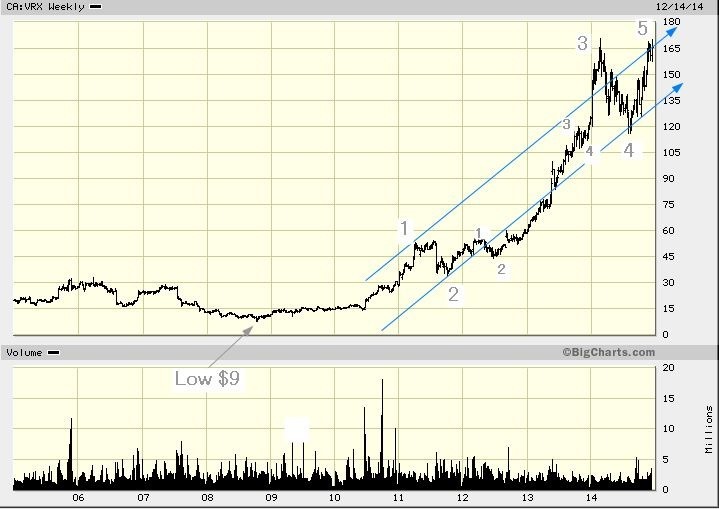 An initial target would be about $50 down, after that possible to about $50 (top of wave 1 in an extended wave). Options are available on this stock but they are not cheap. 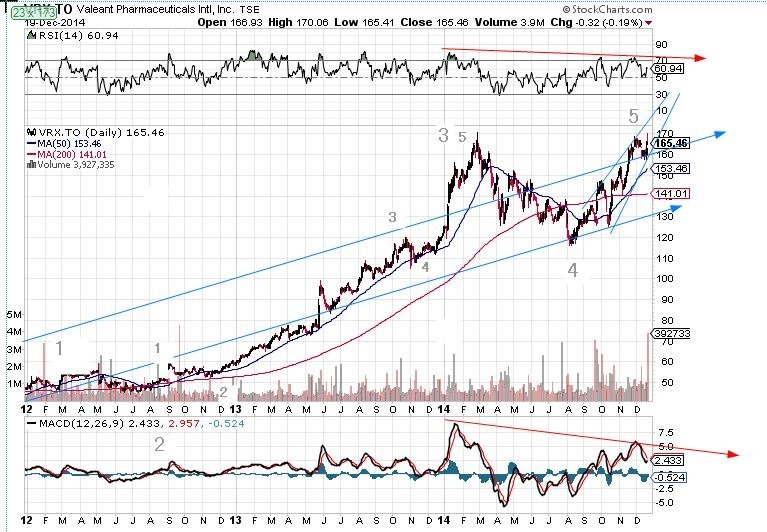 Gilead (GILD) has a very similar structure!